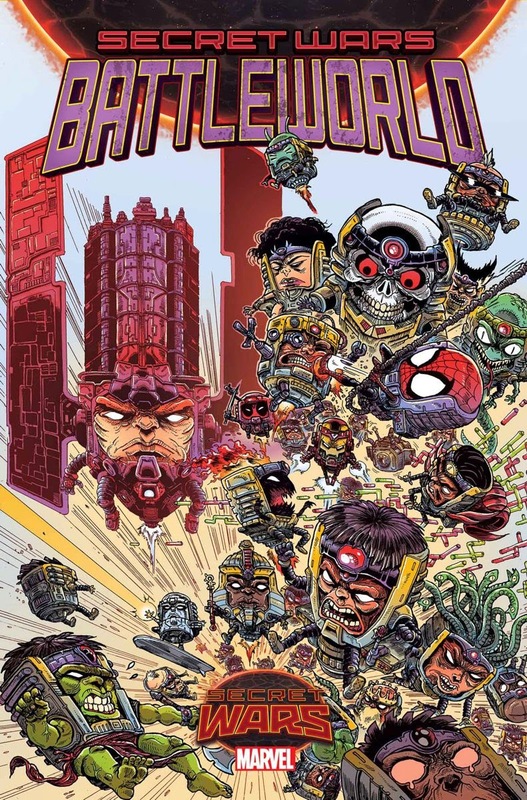 GeekRex | Marvel May 2015 Solicits: Secret Wars Begins! Marvel May 2015 Solicits: Secret Wars Begins! Once again we find ourselves at the time of the month where comic fans get most excited: solicitations! This week, Marvel unveiled a full listing of what to expect from them this May...you know, the same month a certain Avengers: Age of Ultron is supposed to come out. While Ultron will be present in a few comics, most of Marvel is going to be focused on Secret Wars, AKA quite possibly the largest summer event Marvel has had in quite some time. Below you can find my picks for the 10 most note-worthy of Marvel's May 2015 solicits! 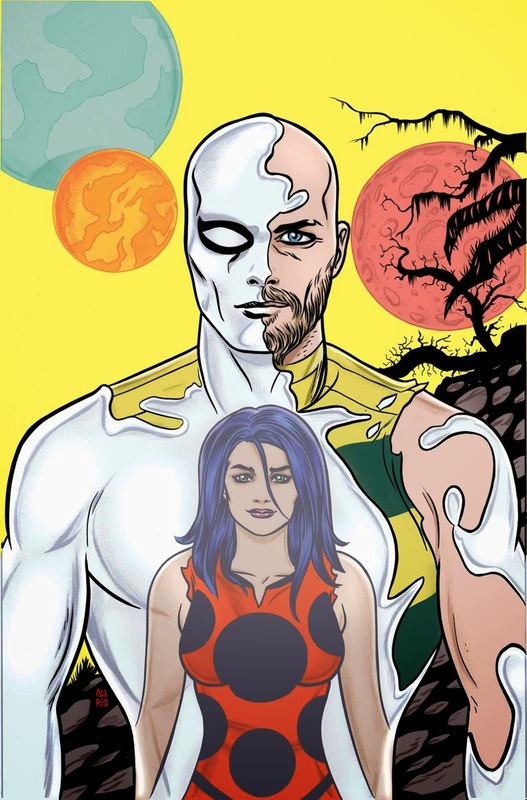 Thanks to Newsarama for the solicits (check out the link for the full list). 2. 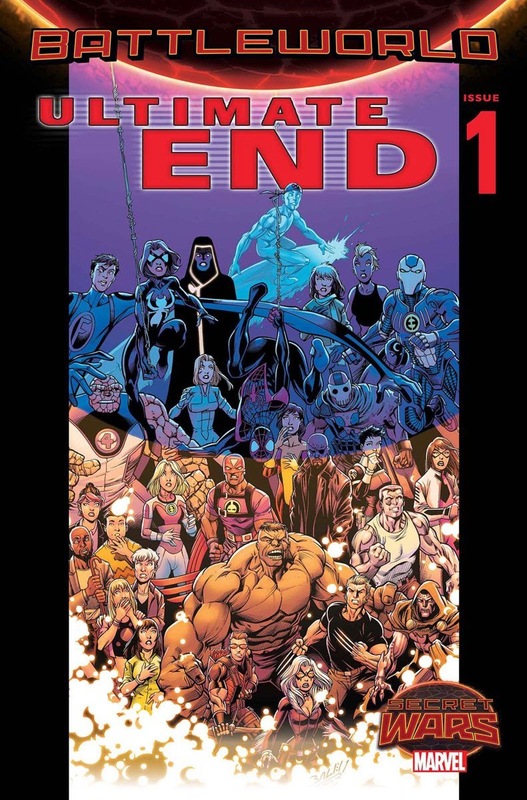 Marvel's Ultimate U Comes to an End - This was a twist in Secret Wars we all saw coming. Marvel's Ultimate Universe is finally coming to an end as it comes into direct conflict with the main Marvel U. Expect most of these characters that aren't Miles Morales to be wiped away. 3. A Rexie Winner Comes to Marvel - Remember Ghosted, Nailbiter, and Birthright writer Josh Williamson? The winner of our Rexie Award for Best New Talent? Yeah...he's jumping on the Marvel train with Secret Wars with one of the numerous tie-in books. Hopefully his talent on all those Image books shines through here. 4. Garth Ennis Returns to Marvel - Mind, this may not be the most exciting of all the Secret Wars tie-ins. In fact, it is one of the many dumb ideas to come out of this series, but Garth Ennis IS a great writer. 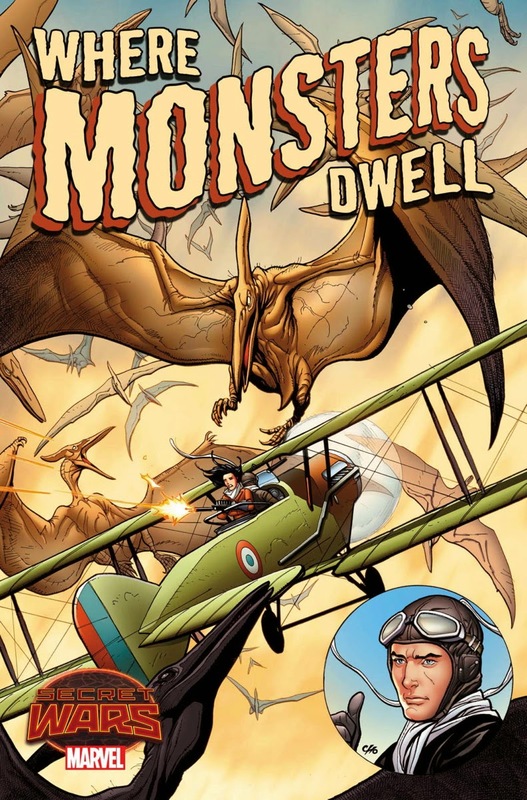 If anyone can write a story about fighter pilots fighting dinosaurs...maybe Ennis is your man. 5. 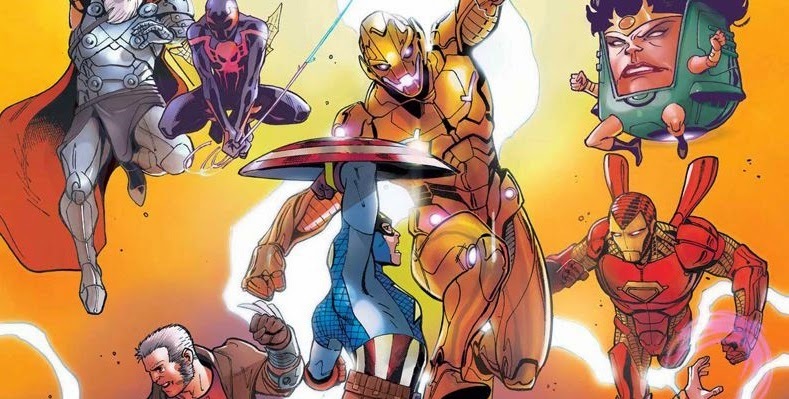 Cap vs A Whole Mess of Hulks - Of the many series returning to Marvel in the wake of Secret Wars, Planet Hulk may be the one with the most changes from the original event. 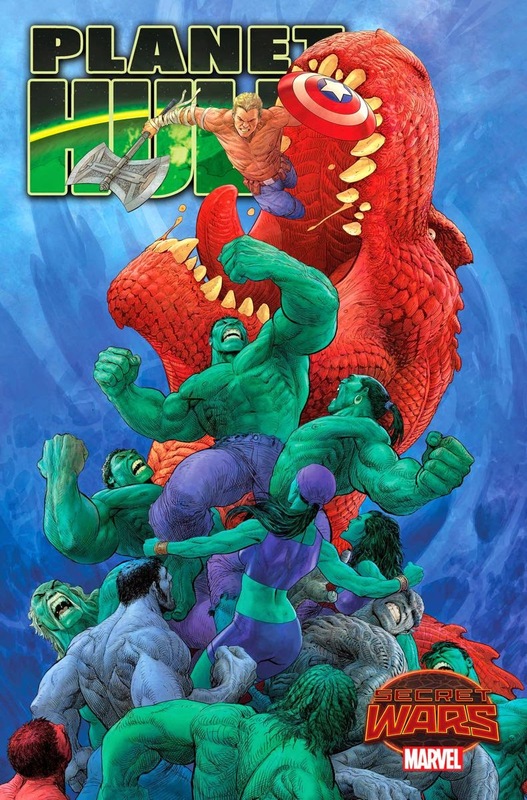 Hulk being a gladiator in space is being thrown out in favor of an aged Captain America fighting a ton of alternate world Hulks with some help from none other than Devil DInosaur! This is one tie-in you shouldn't miss. 6. 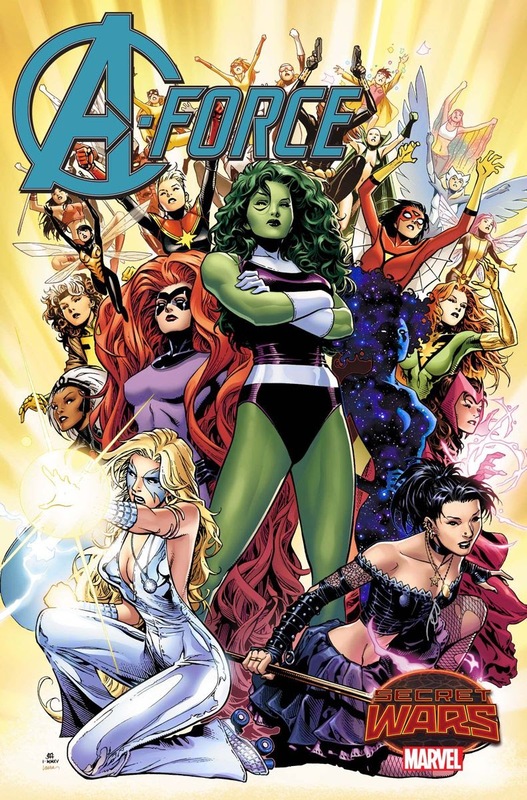 An All Female Avengers - The Secret Wars tie-in which received easily the most press. Marvel's widest spreading event book in some time is launching a brand new, all female, Avengers title. This is a great example of where the current trend of more diversity in comics is leading....too bad only half the creative team has any talent. 7. Deadpool Fights a Different Secret War - You may recall from last month's round up of Marvel's solicits that Deadpool is set to bite the dust come April. Of course that doesn't stop Marvel from publishing a Deadpool-centric book, though. 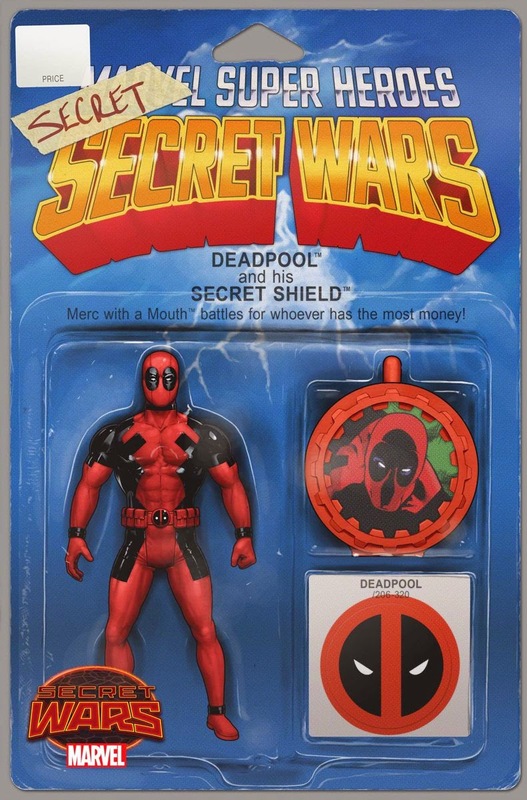 The Merc with a Mouth is set to tell the story of his own involvement in the original Secret Wars event from 1984. Could be neat. 8. So Who IS the New Thor? - It's a mystery which has had many scratching their head and debating online for months now...and Marvel almost doesn't want you to remember we are about to get the answer. 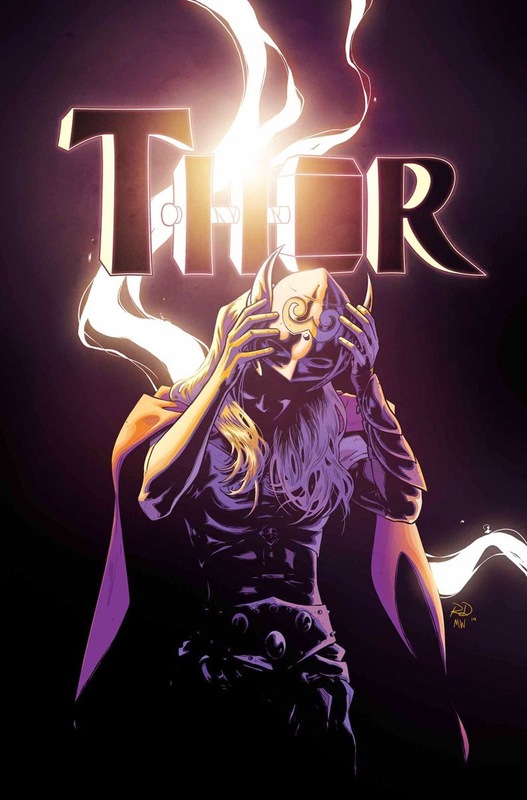 Amongst all the Secret Wars hubbub, Jason Aaron is set to reveal the identity of the new, female Thor. Place your bets, now. 9. Guardians of the Galaxy Ending? 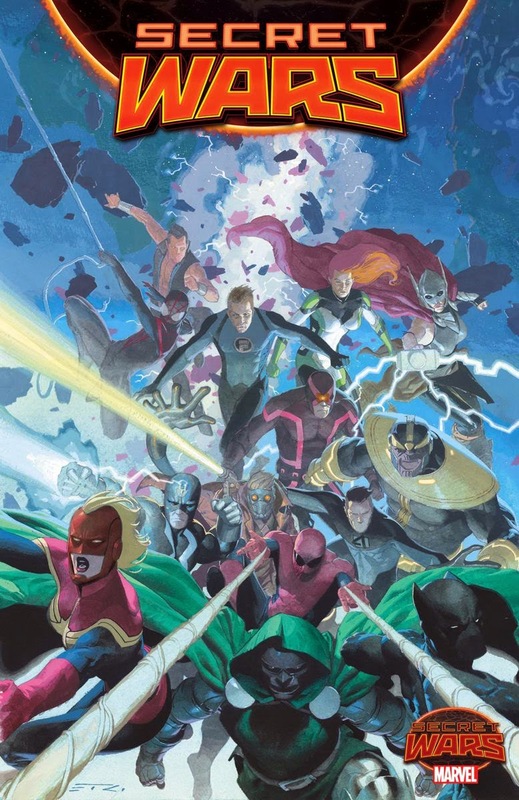 - Could an end be in sight for Marvel's most recently popular super-team? That's what the latest solicits for Guardians seems to imply. 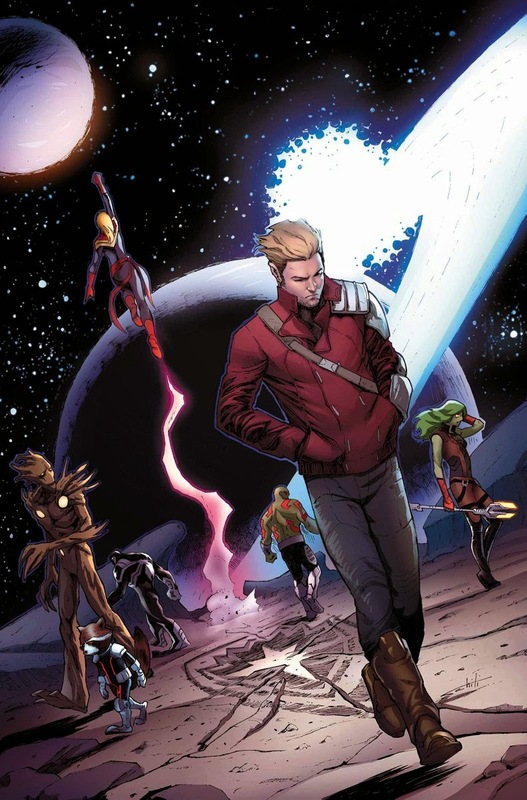 Could be nothing, but the tease by Marvel that Guardians could be one of the books NOT published during Secret Wars could point to a relaunch/new creative team making its way soon. 10. Silver No More - If you read the latest issue of Silver Surfer, you know that the former Herald of Galactus is in a bit of a bind. Looks like that little lack of the Power Cosmic is going to continue for a bit. This should make for a fun twist on this already fun series. Those are my 10 most note-worthy solicits for May. What did I miss? What are you excited to pick up at the start of the summer? Let me know in the comments below!